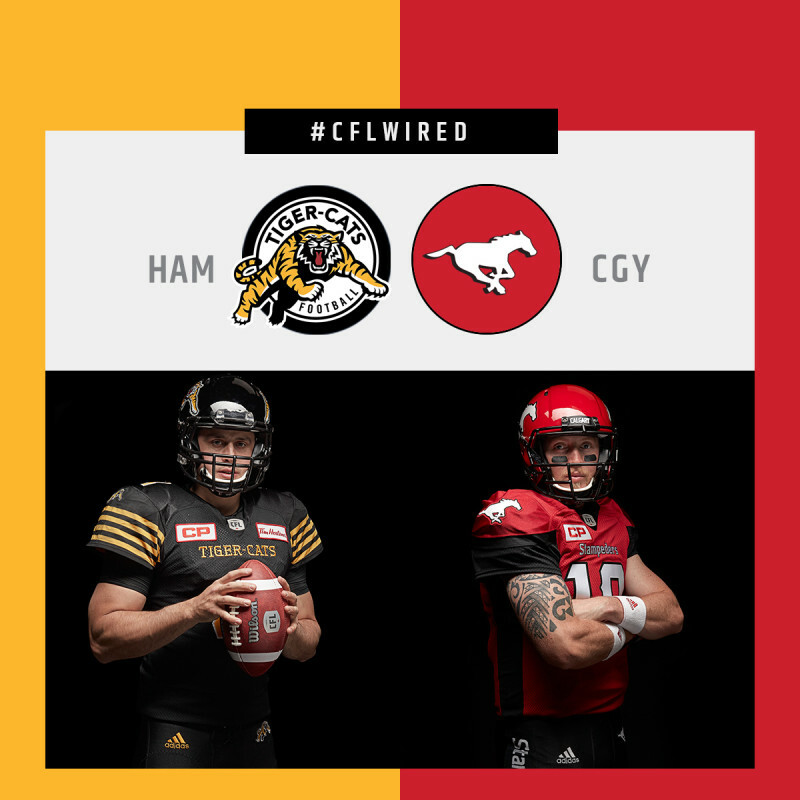 TORONTO — From the sidelines to the huddle, CFL ON TSN takes fans deeper into the game this weekend with a special Live Mic Broadcast (#CFLwired) featuring in-game sound from the Calgary Stampeders and Hamilton Tiger-Cats’ quarterbacks and coaches when the two teams face off this Sunday, Aug. 28 at 7 p.m. ET on TSN. Marking TSN’s first-ever Live Mic Broadcast of a regular season CFL game, fans will be able to hear the sounds of the game live on the field from quarterbacks Zach Collaros and Bo Levi Mitchell, as well as coaches Kent Austin and Dave Dickenson, as these GREY CUP contenders clash at Calgary’s historic McMahon Stadium. CFL ON TSN’s Chris Cuthbert and Glen Suitor are in the booth for the Ticats-Stampeders game, with Jermain Franklin reporting from the sidelines. Sunday’s Live Mic Broadcast also features the CFL ON TSN panel – including host Rod Smith alongside analysts Matt Dunigan and Milt Stegall – from the TSN Studio to deliver pre-game, halftime, and post-game news and analysis from this unique live broadcast. Fans can follow photos, videos, and viral content from the CFL ON TSN’s Live Mic Broadcast on TSN’s official Snapchat, Instagram, Facebook, and Twitter accounts on #CFLWired. The 2016 CFL ON TSN season culminates with the Shaw Road to the Grey Cup as well as the 104th GREY CUP presented by Shaw – one of 60-plus iconic championship events that live on TSN – live from the Toronto Argonauts’ new home of BMO Field. TSN is the exclusive Canadian broadcaster of the CFL, delivering live coverage of every regular season game, including playoffs and the 104th GREY CUP live from Toronto’s BMO Field on Nov. 27. Last year, Bell Media’s TSN and RDS announced an extension of their long-term multi-platform partnership with the CFL through to 2021.